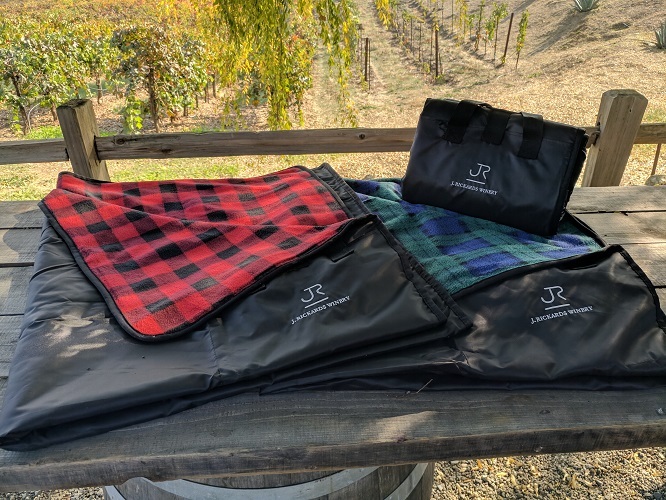 Our 4x5-foot JR-branded picnic blanket features soft flannel on one side, and weather-resistant nylon on the other. It folds into a compact size with its own handle, making it easy to carry or pack away. Choose Red/Black or Green/Blue check.